Investments | JB Bryan Financial Group, Inc. 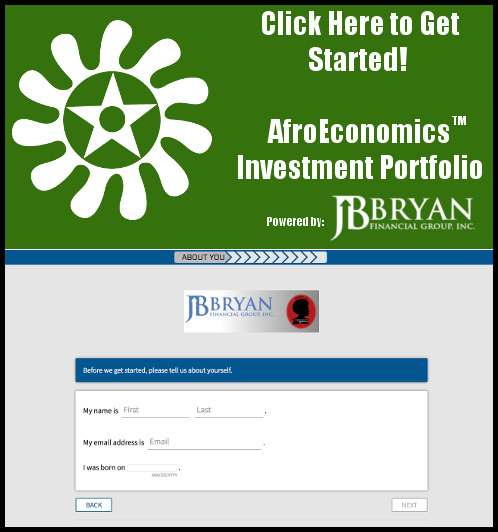 Welcome to AfroEconomics Brokerage Account Services powered by JB Bryan Financial Group, Inc. an Independent Registered Investment Advisory Firm. Call 1-844-JBBRYAN for additional details or to schedule a complimentary consultation. J.B. Bryan Financial Group, Inc is an independent Registered Investment Advisory firm in Virginia , Washington, DC, New York, and Maryland.